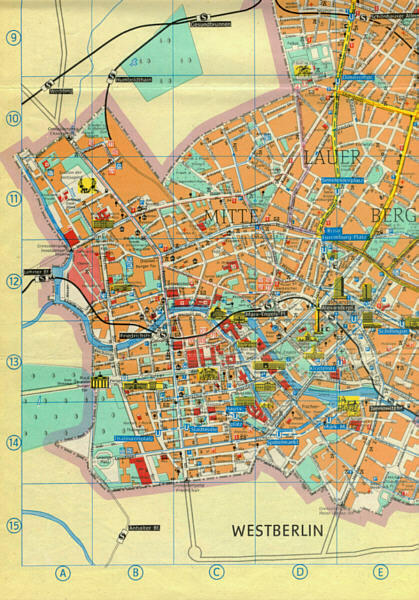 The map was published in East Germany in 1984 and shows the center of East Berlin. West Berlin was mentioned on the map but not shown with its streets and buildings (yellow area). The red line is the course of the Berlin Wall in the center of Berlin.